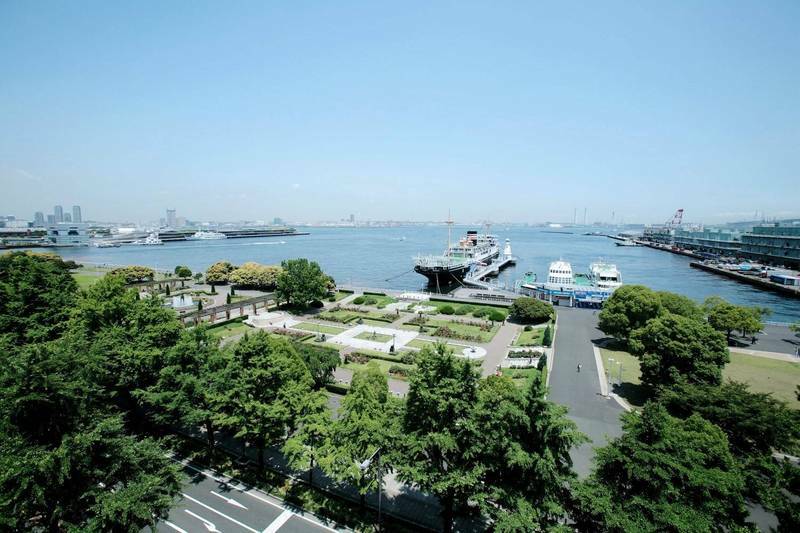 The Yamashita park (Yamashita Koen) is a public park, always opened, in the waterfront of Yokohama bay, west of Minato Mirai area. This park is very popular, especially among couples. It can be seen also in some anime and manga, for example in the famous Maison Ikkoku. There are many benches in the midst of green fields and some trees. On the east end there is a strange raised construction of semi-circular shape and it is not clear what it represents, from there you can see the rest of the park from above. 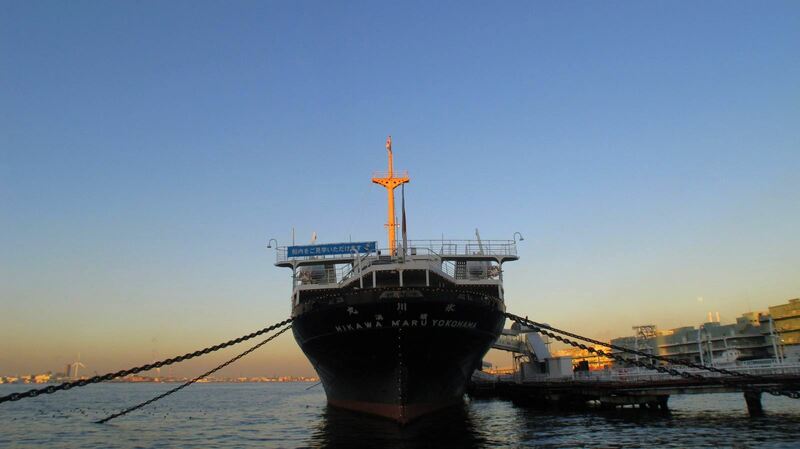 The Hikawa Maru is a ship docked for many years in front of Yamashita Park. It was used in the route Kobe-Seattle (Usa) from 1930 to 1960, except during the Second World War when it was used as a hospital ship. During its history it carried many Jews escaped from the nazi persecutions, and famous people like Charlie Chaplin. Today it has become a museum ship visitable inside, from the engine room to the first class cabins furnished in Deco style. 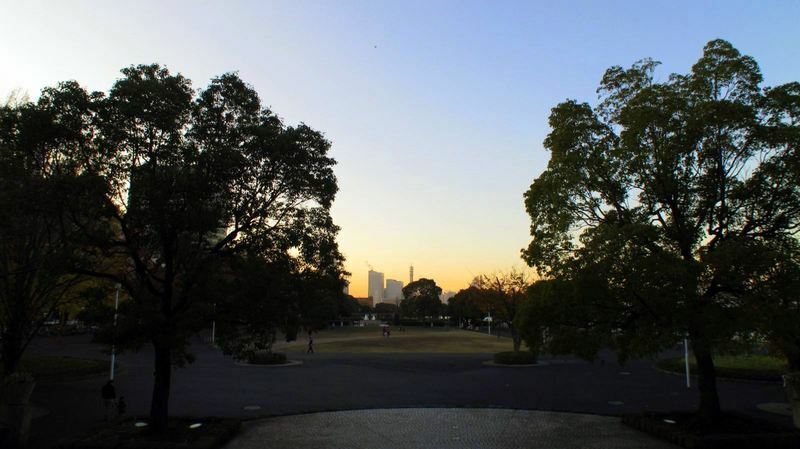 Closed on mondays, opening hours 10-17, admission fee 200 yen. 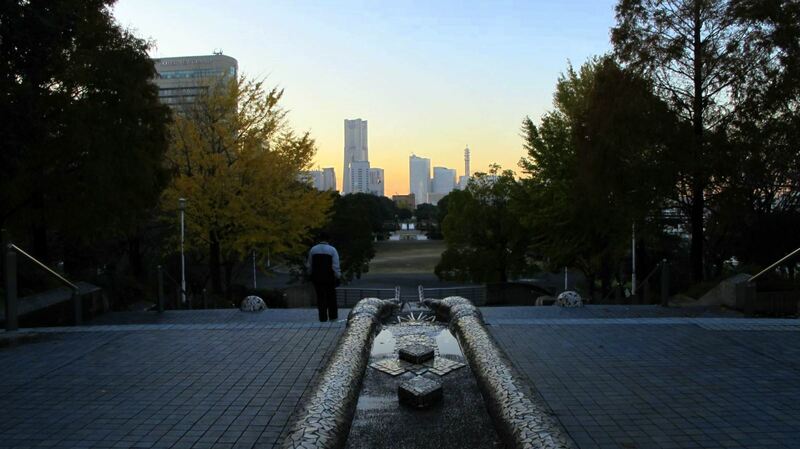 This tower is located just in front of Yamashita Park and was opened in 1961 and modernized in 2009. In the evening the metal structure is illuminated by special lighting that changes color. 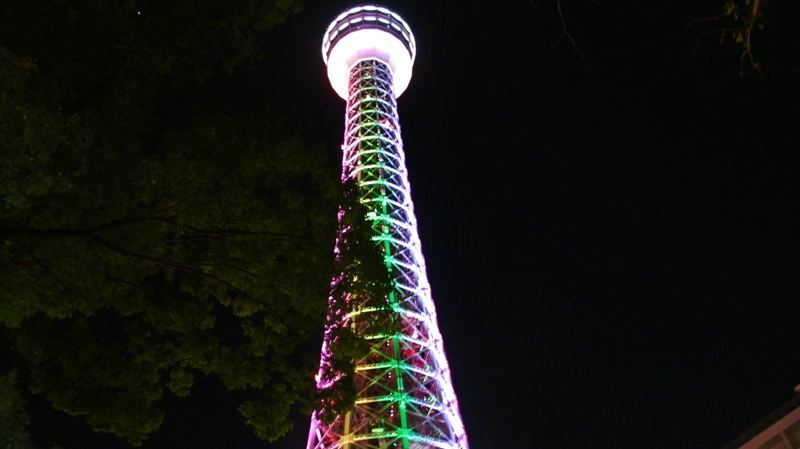 The tower also works as a lighthouse and is considered the world's tallest lighthouse, 103 meters high. 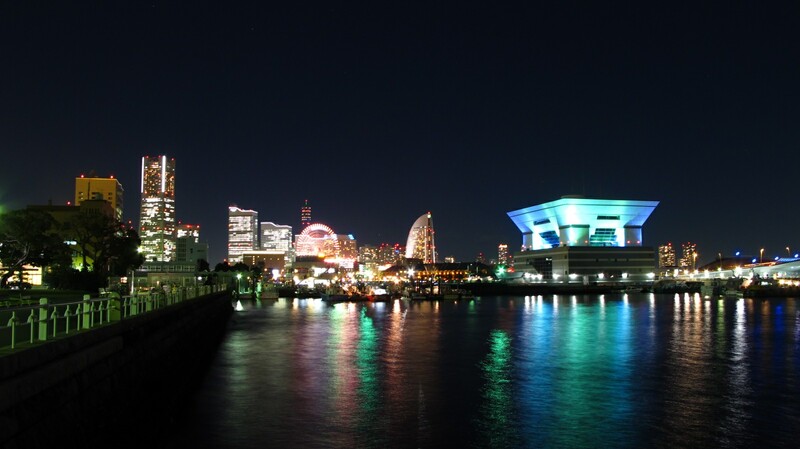 Just below the lighthouse, there is a 360 degrees observation deck on two floors (29° e 30°) from where you can admire the Yamashita Park, Minato Mirai, and the bridge crossing the bay of Yokohama. Sometimes even the Mount Fuji can be seen. 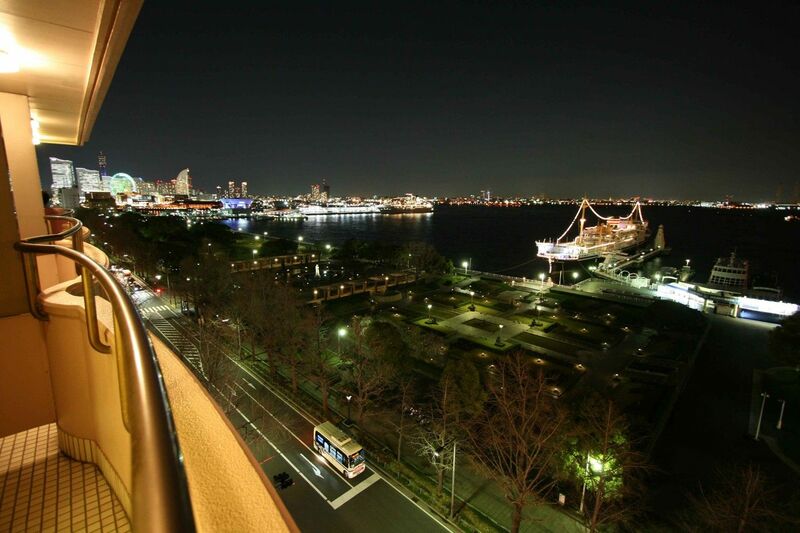 The observatory is open from 10 am to 22:30 and costs 750 yen. At the base of the tower there is a building of 4 floors with a gift shop and some high-class restaurants including an Italian one. 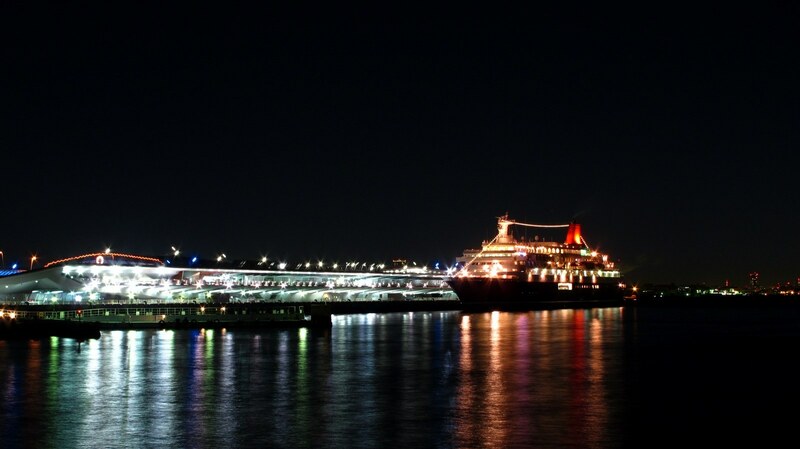 This is the main international passenger pier of the port of Yokohama, built in 1894 and refurbished in 2002, now used mainly for cruise ships. The pier is open to everyone, not just those who must embark: there is a terminal, inside which there are few shops and restaurants, as well as the various offices and port services. But the peculiarity of this place is the roof of the terminal, which was built as a venue for either walks, with wooden floor surrounded by gardens, all with an asymmetrical and very particular design. This is one of the most beautiful places to take photographs and admire the "waterfront" of Yokohama, being in the middle between the Minato Mirai area on the left and the Yamashita Park on the right. The area of Yamashita is a very good area to stay in Yokohama, because of its location very near to Chinatown and a nice walk far from Minato Mirai, following the waterfront. Along the street opposite the park there ore some hotel: the luxury Monterey hotel, and New Grand hotel, a middle range hotel, the Mielparque, and a business hotel with very convenient rates that I absolutely recommend, the Star Hotel, with single rooms from 5000 yen per night and rooms with balcony and view of Yamashita park and Minato Mirai from 6000 yen. 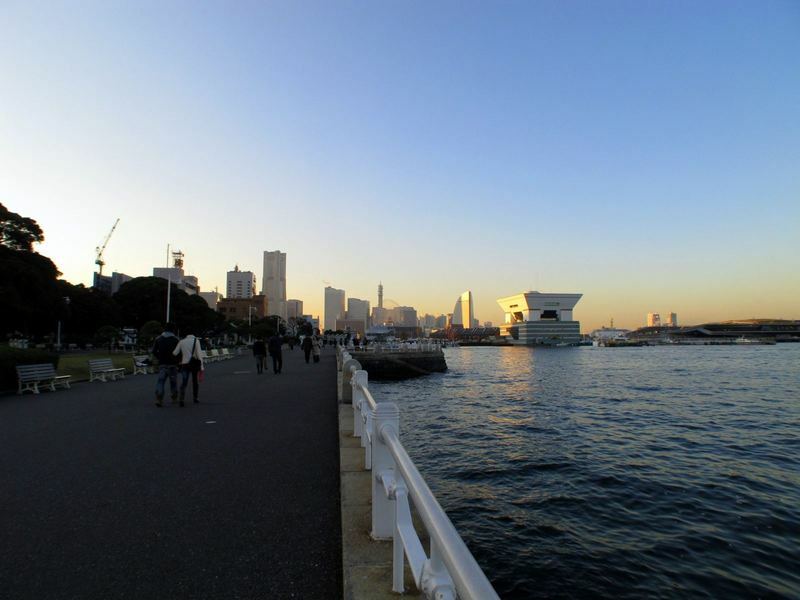 The nearest stations to Yamashita park are Nihondori station and Motomachi-chukagai station along the Minatomirai line, but the area can be reached also on foot with a nice walk from Minato Mirai along the waterfront.